MicroRNAs (miRNAs) are small non-coding RNAs that regulate a variety of biological processes. Cell-free miRNAs detected in blood plasma are used as specific and sensitive markers of physiological processes and some diseases. Circulating miRNAs are highly stable in body fluids, for example plasma. 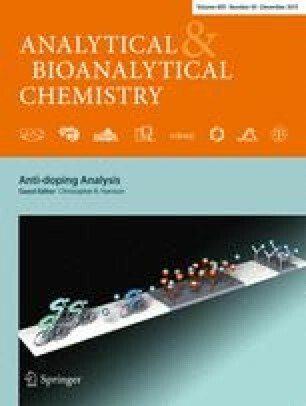 Therefore, profiles of circulating miRNAs have been investigated for potential use as novel, non-invasive anti-doping biomarkers. This review describes the biological mechanisms underlying the variation of circulating miRNAs, revealing that they have great potential as a new class of biomarker for detection of doping substances. The latest developments in extraction and profiling technology, and the technical design of experiments useful for anti-doping, are also discussed. Longitudinal measurements of circulating miRNAs in the context of the athlete biological passport are proposed as an efficient strategy for the use of these new markers. The review also emphasizes potential challenges for the translation of circulating miRNAs from research into practical anti-doping applications. Published in the topical collection Anti-doping Analysis with guest editor Christopher Harrison. We acknowledge Yorck Olaf Schumacher and Torben Pottgiesser for critical reading of the manuscript. Our research on circulating miRNAs was supported by Partnership for Clean Competition (PCC), the World Anti-Doping Agency, and Exiqon grant program.